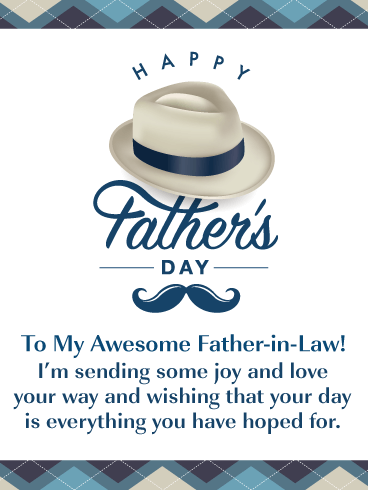 Make your father-in-law feel very special today by sending him a greeting card that shows how much you care. 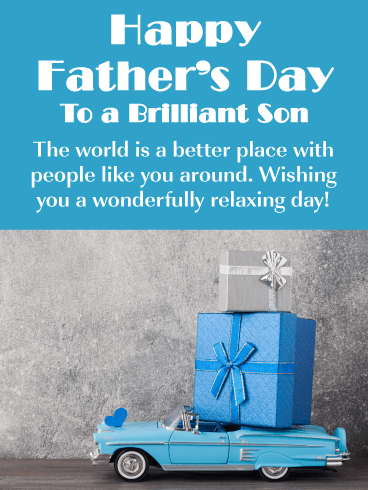 It’s an outstanding Father’s Day card that showcases a wonderful image of a traditional Father’s Day tie, a hot cup of coffee, and a great Happy Father’s Day sign! He will especially like the fact that you think his stories are interesting and that he makes you smile! 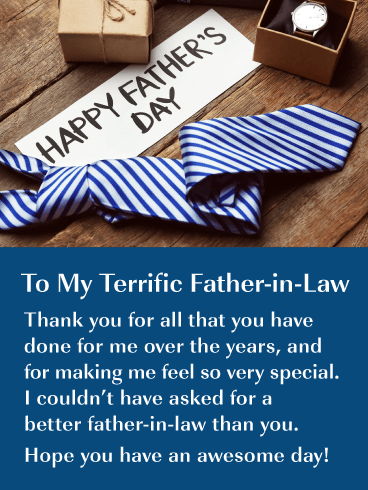 Every father-in-law loves receiving a great tie on their special day, and that’s why you should send this greeting card his way. This Father’s Day card not only contains a wonderful tie, but also a watch and gift. Everything you need to put a smile on your father-in-law’s face. 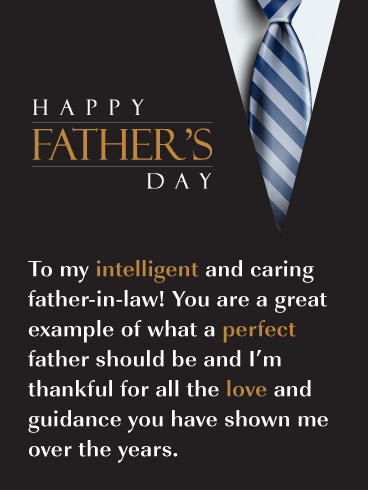 He will absolutely love the fact that this card says that you couldn’t have asked for a better father-in-law than him! 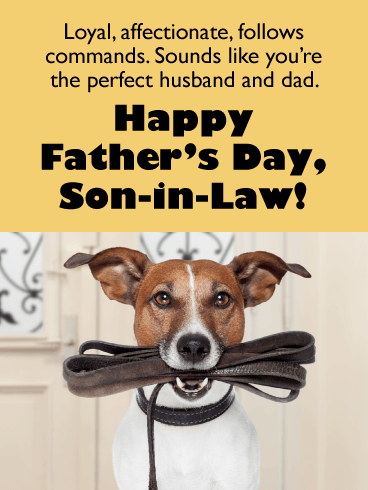 Do you have a classy and intelligent father-in-law? If you do, then we have a card that is made just for him. This Father’s Day card is very stylish and stunning, and your father-in-law is going to love it. 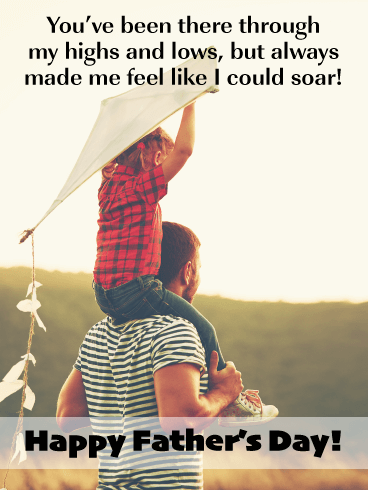 He will especially like the fact that you feel he is a great example of a perfect father! 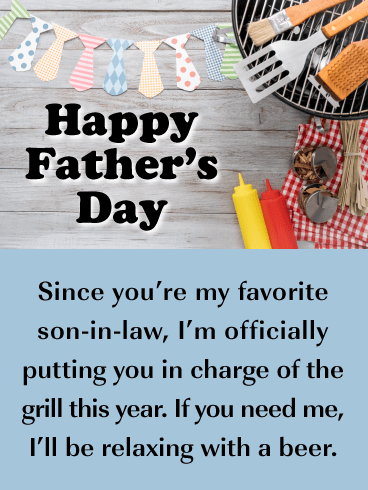 Let him know how you really feel with this outstanding Father’s Day card, and be sure to send it out soon! This magnificent Father’s Day card will be the highlight of your father-in-law’s day. He will love the colors this greeting card features, and also the awesome hat, bow tie, and glasses! 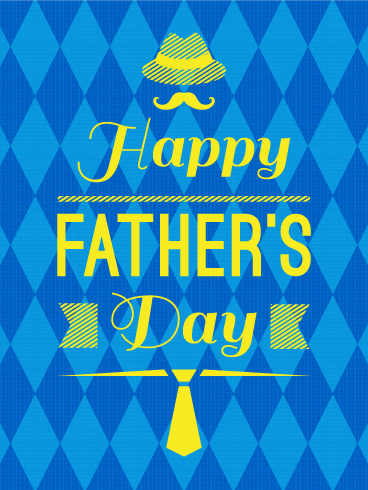 They all come together to create an exceptional Father’s Day card that you can present to him today. 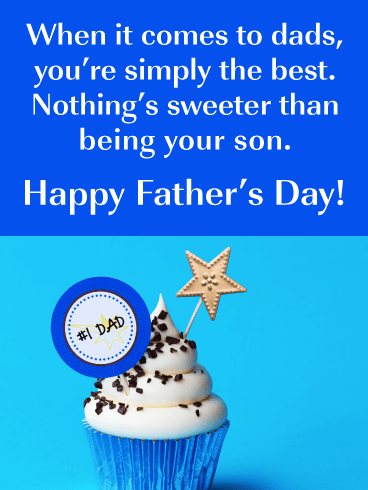 Let him know how you cherish all the memories the two of you have created together, it will surely touch his heart on Father’s Day. 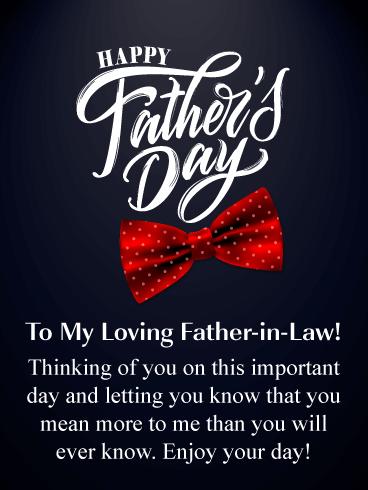 This spectacular Father’s Day card showcases a lovely red bow tie, perfect for any father-in-law who is celebrating his big day. 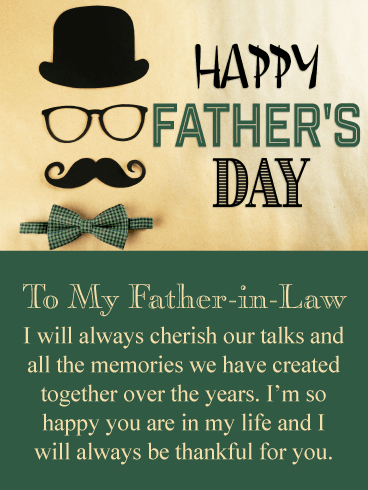 This eye-catching greeting card expresses that your father-in-law means more to you than he will ever know. Reading this will be the best Father’s Day present he could receive. So don’t make him wait a minute longer, send it out today! 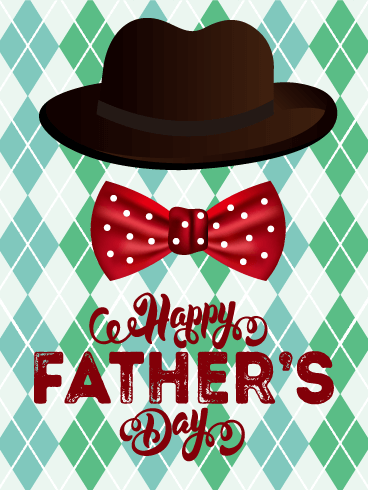 This Father’s Day card sports a fantastic design that displays a great hat that your father-in-law is going to really like. 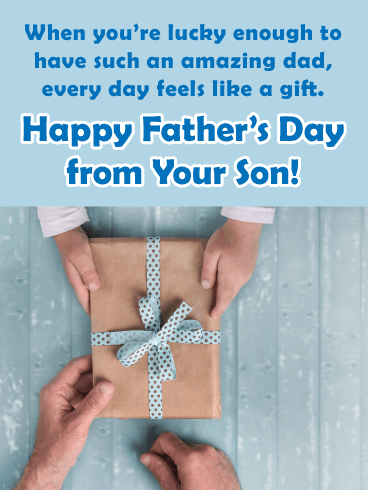 But what he will appreciate the most is that you took the time to send him a Father’s Day card. 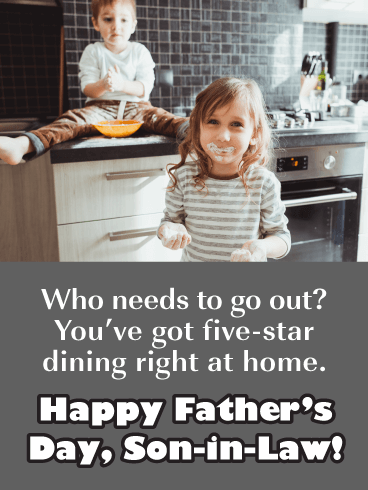 This will show him that you are thinking of him on Father’s Day. So be sure to send him wishes of joy today by getting this greeting card out right away! 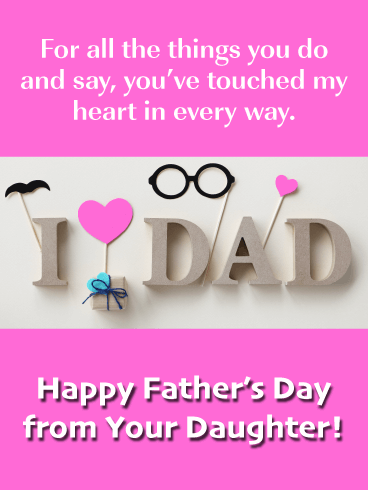 This Father’s Day card is a crowd favorite! It features a faded car with creative text that spells out Happy Father’s Day. It looks fantastic! 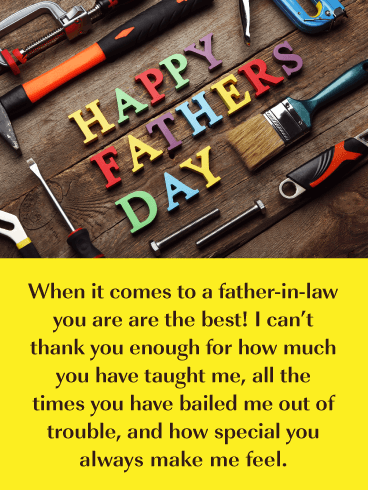 This greeting card will thank your father-in-law for being so supportive and caring, things that are important to any son or daughter-in-law. On this important day, send loving thoughts his way, he will be touched and so thankful you did. The heart-shaped pizza on this card is meant for one person to enjoy: Dad! 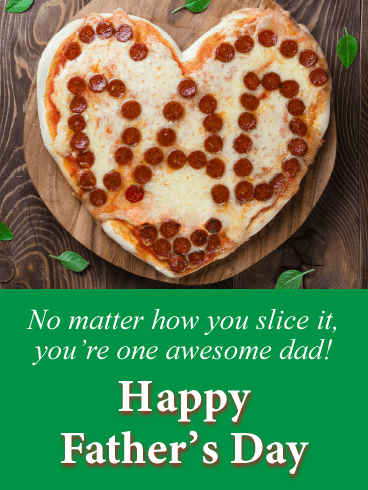 It serves up plenty of fun for Father’s Day while including a thoughtful message, reminding him that no matter how you slice it, he’s the most awesome one around. Young or old, near or far, this delicious and delightful greeting is the perfect one to share with him. 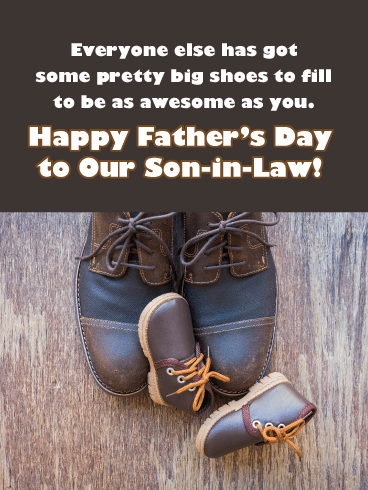 Your son-in-law is exceptional in every way, so everyone else has some pretty big shoes to fill to be as awesome a dad as he is! 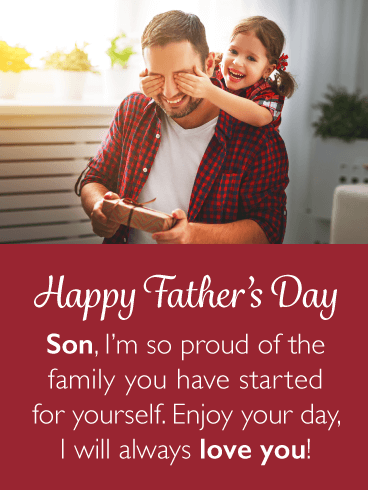 Let him know on Father’s Day with this touching card, featuring a pair of matching shoes for father and son against a wood background. It’s a great way to wish him well while letting him know how highly you think of him. 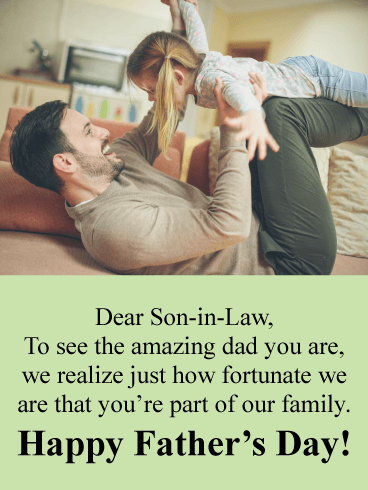 This heartwarming Father’s Day card for your son-in-law will remind him of the amazing father he is day in and day out. 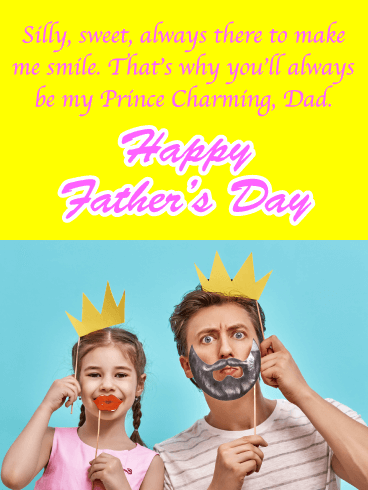 The image of a young dad holding up his little girl gives this greeting a sweetness to it he won’t soon forget, and the sentiment below, letting him know how fortunate you are that he’s part of your family, is one that is sure to make him smile as he celebrates this special day. 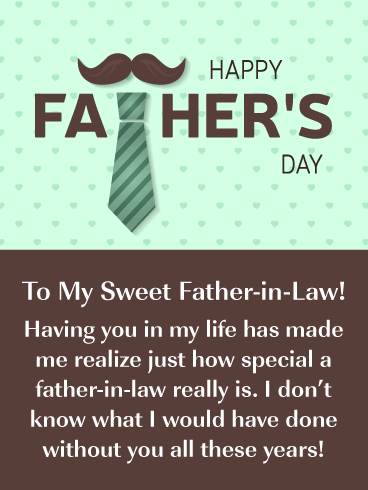 Here’s a Father’s Day card that is totally sweet for the special son-in-law in your life! A delicious and colorful slice of cake is joined by a cup of cocoa decorated with a smiling sunburst. If that isn’t enough to get him excited about celebrating, the words above will. It’s a chance to wish him a day that’s filled with all his favorite people and things, with lots of surprises along the way! A father and son sit side by side fishing, the perfect way to spend Father’s Day. 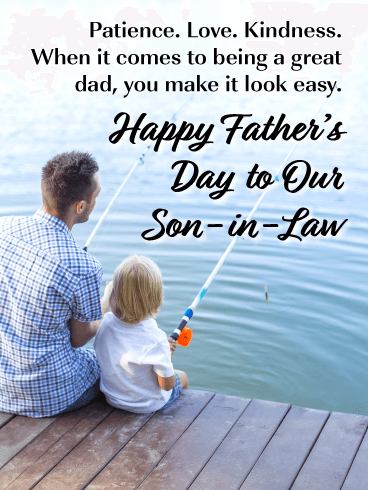 And the words above, letting your son-in-law know the many wonderful qualities he possesses, is a great way to make him feel loved on this special day. Because when it comes to being a patient, loving and kind dad, he makes it look so easy. 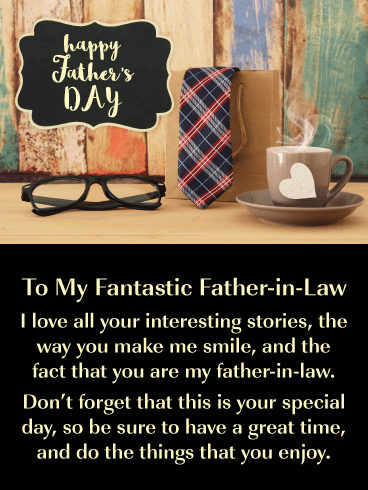 A father holding hands with his two young children is a heartwarming image for this Father’s Day card, which delivers a touching message to a special son-in-law in your life. 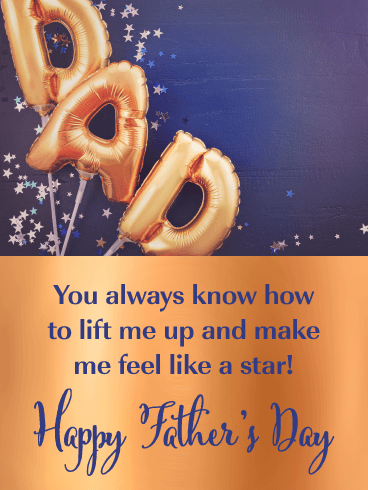 It’s a reminder to him that his warm and caring spirit is what sets him apart from the rest, which is something he’s sure to remember for many celebrations to come. So whether you’re with him this year or sending your wishes from miles away, this greeting is the perfect one to make him smile. For all he does, and for all the hearts he’s touched, he is loved by so many. 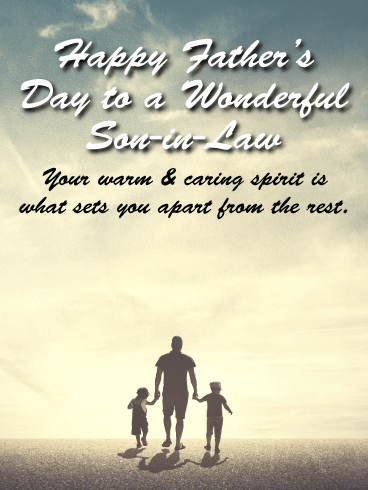 What a touching sentiment to share with your son-in-law on Father’s Day. 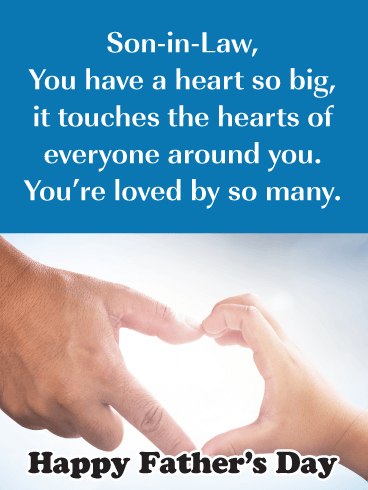 With the image of a big hand holding a little hand to create a heart, this card is a warm reminder of how you feel, and a chance to let him know how fortunate you are that he is a part of your family. 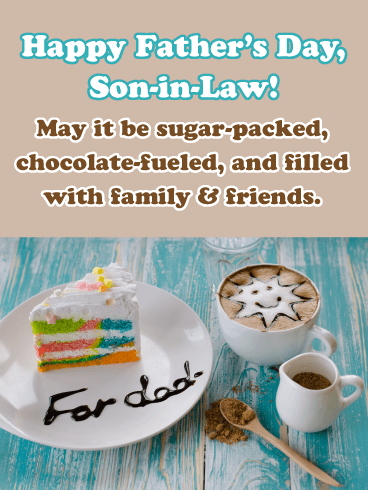 This colorful card is a super way to wish your son-in-law a Happy Father’s Day! Decked out in bold red, yellow and blue to look like a superhero crest, it’s got a very important message to share: that he is the absolute best in every way. Whether he’s a comic book fan or simply appreciates a little fun, this greeting will have him ready to celebrate and feeling invincible! Becoming a parent was one of the most magical experiences of your life. Naturally, you wish the same level (or even more!) of joy for your beloved children now that they’re grown and starting their own families. 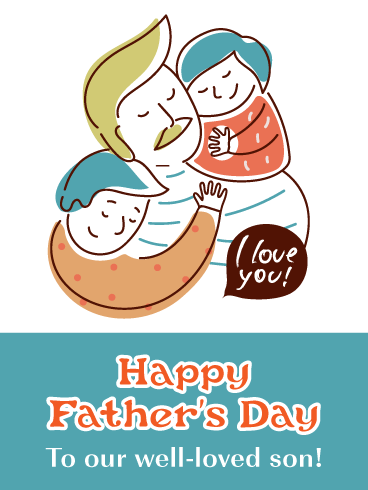 Send the Children are Joy Happy Father’s Day Card to your darling son to celebrate his journey into fatherhood. Whether he’s a new father or has been a dad for some time now, he’ll appreciate the thought! Your son has accomplished a lot in his life that makes you proud. One of those things is how naturally he’s taken to being a parent. 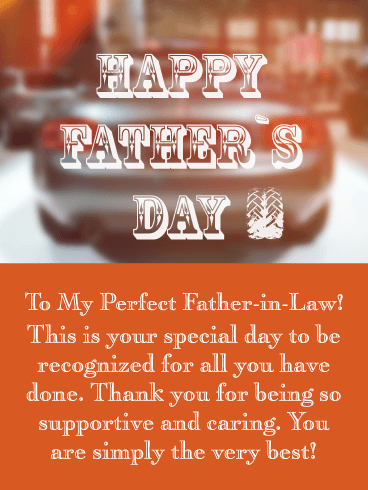 He’s a great dad and he deserves this recognition, so send him the Proud Parent Happy Father’s Day Card! This sweet photo card will bring a smile to his face by reminding him of how much you love him. Parents are often a child’s first hero. You yourself were likely your son’s first hero and now he’s all grown up and a father himself. 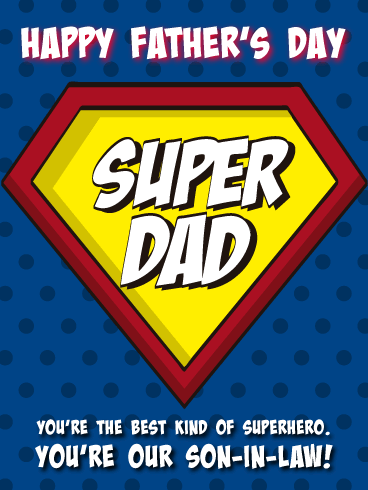 Send that super dad the Hero Parents Happy Father’s Day Card to welcome him to the league! Featuring a heartwarming photo of a father and child holding hands while wearing superhero capes, this is a total feel-good card. 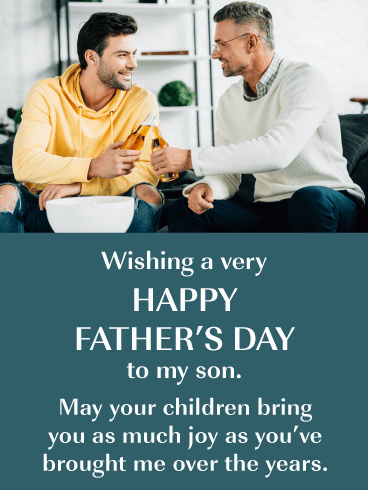 Everyone loves your son– probably you most of all! He definitely is the perfect recipient for the Well-Loved Happy Father’s Day Card. Let that man know just how loved he is with this adorably cute cartoon card of a dad getting loved and hugged on by his sweet family. 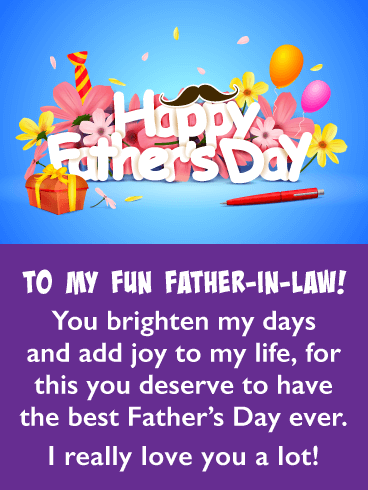 With cheerful colors and fonts this card is sure to bring a smile to your wonderful son’s face. Extra extra! Read all about it! Stop the presses! 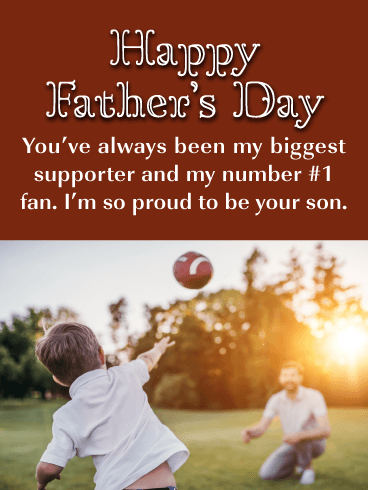 It’s Father’s Day and you need a swell card to send to your amazing son. 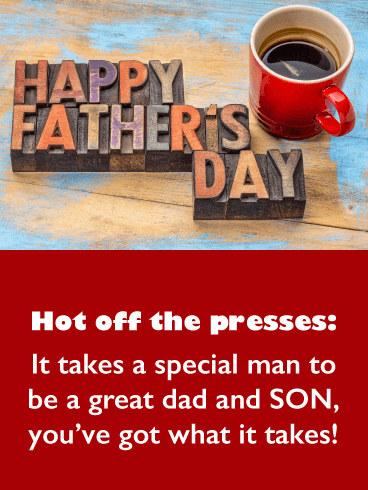 We’ve got the Hot Off The Presses Happy Father’s Day Card all “printed” up and ready to send– complete with a hot cup of coffee. It takes a special man to be a great dad and your son has what it takes! 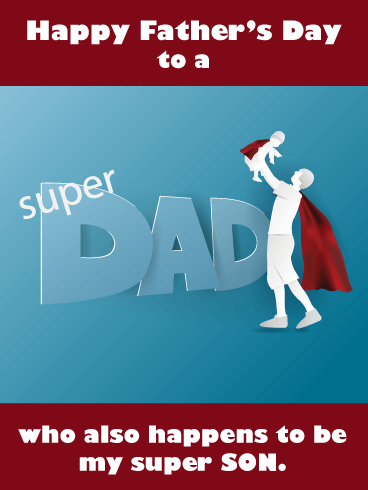 Send the Super Son, Super Dad Happy Father’s Day Card to that everyday hero: your son. 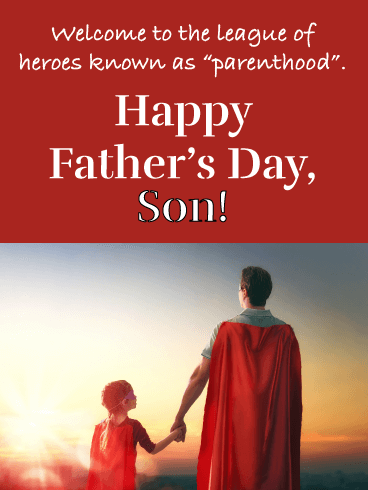 With big bold letters and a cute graphic of a caped father lifting a caped toddler high up in the air, it’s got everything you need to wish that man a happy day. Simple yet powerful with the striking red superhero capes this card is sure to catch his eye. A small pair of red, toddler shoes sit adorably atop a pair of larger, worn-in men’s shoes. This card is perfect for a new father or someone who has been at this whole parenthood thing a while. 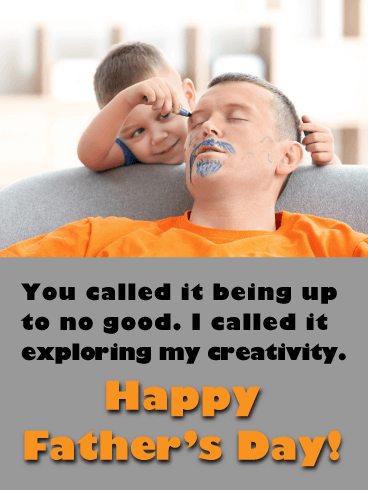 Wish your sweet son a top-notch experience with the Parenthood is Rich Happy Father’s Day Card. 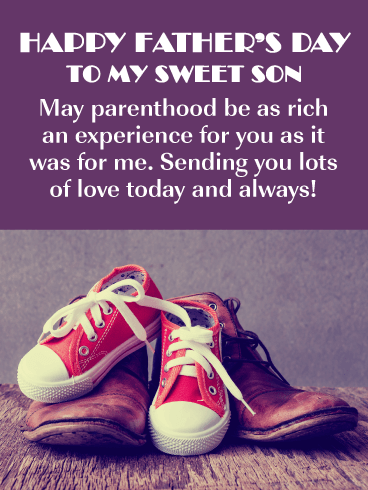 Send your son lots of love today and always!